PlayStation Vita games: seizure safe? The logo sequence (top left) of PlayStation Blog’s “PULSE” can cause seizures, as shown by the luminance (flash) level registering in the Fail zone. Are video games getting safer? 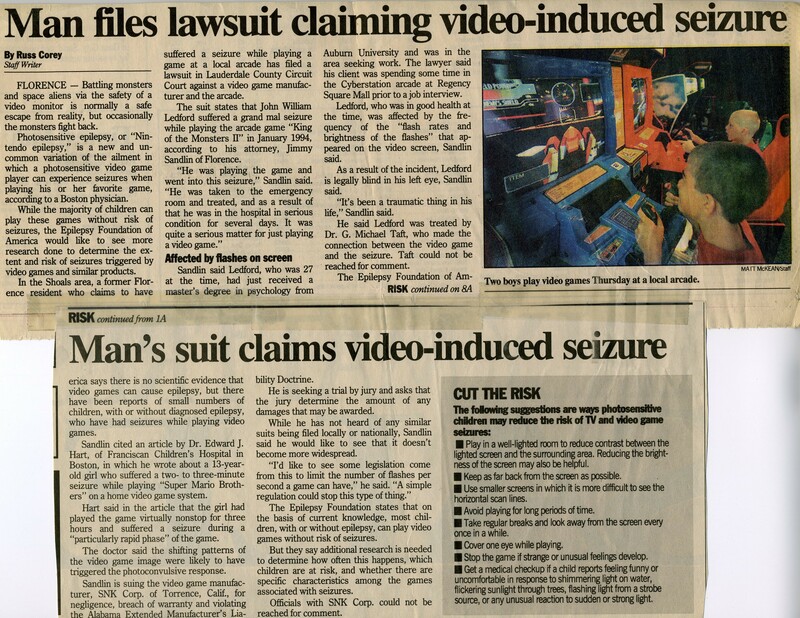 Occasionally someone claims that game developers don’t make seizure-inducing games anymore–I have no idea what the basis is for this assumption. Today’s North American launch of the PlayStation Vita handheld platform provides an opportunity to see whether there might be any truth to such rumors. And the answer is…nah, I don’t think so. In anticipation of today’s launch of Sony’s latest mobile gaming device, I viewed and tested gameplay sequences form trailers for 8 or 10 some Vita games available at launch time and in the near future. Although I did not find much material that failed the safety test in trailers I looked at, for several reasons I cannot state these games appear seizure safe. Because I’m not set up to test gameplay myself, to evaluate the seizure safety of video games, I rely on gameplay shown in the promotional trailers. From these snippets I can’t do a very thorough job of testing. 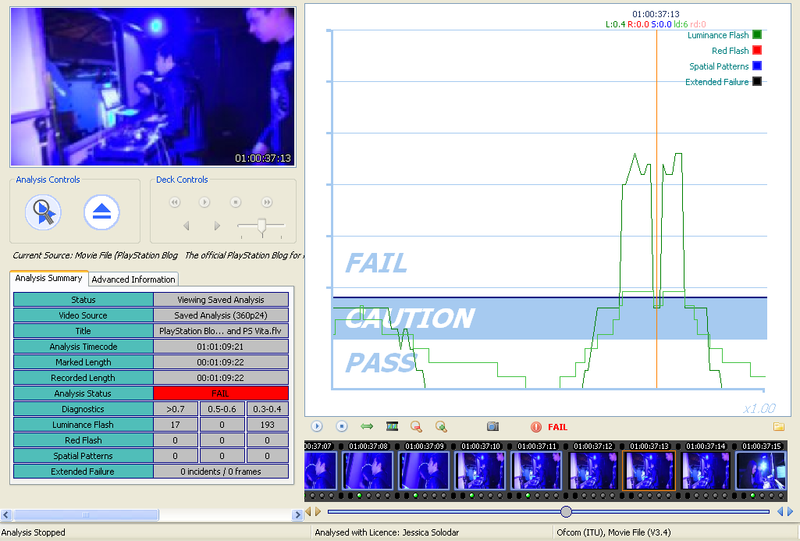 I can’t tell how representative the clips are of all possible game action, and I can’t determine whether all the screen action that stays just inside the safety zone of the analyzer application would cross the line into the “failure” zone if the scene continued for another couple of seconds. I couldn’t accurately test most of the sequences for the Vita games because of the way the trailers were filmed. See explanation below. Even without testing the Vita games themselves, I found a consistent problem with logo graphics sequences in the game trailers that were unsafe. If Sony were committed to making its games seizure-safe, it’s hard to figure how the marketing people could overlook the safety of their promotional videos, no? Promotional trailers fail the seizure test! Every couple of weeks Sony posts a new edition of its PULSE promotional blog to keep customers current on upcoming games, marketing events, and product launch updates. To learn about the Vita’s features and the games line-up, I first went to Sony’s PlayStation blog, and the moving graphic that evolves into the PULSE logo on those blog entries creates a seizure risk! It consistently failed the Harding Flash and Pattern Analyzer seizure safety assessment. Today’s PlayStation blog entry – in all the excitement of announcing the Vita’s arrival – has, in addition, an unsafe flash sequence that’s unrelated to the logo or to the game screen. Many of the PlayStation games are available across the whole family of PlayStation devices, so it doesn’t appear that there’s much difference in their screen graphics from one device to another. So watching a trailer for a PlayStation 3 game isn’t much different than watching the trailer for a Vita game. Except for one thing. Most of the Vita trailers are shown with the game screen action taking up less than the full screen. 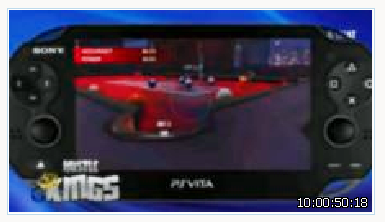 Instead, the filmed gameplay is shown surrounded by the thick frame of the Vita device itself. This means that when the flash and pattern analyzer software calculates the effect of the game trailer’s visual stimuli, the impact of the stimuli will be significantly reduced. In other words, when trailers are filmed with a solid screen around them, the flash and pattern analyzer cannot follow its standard algorithms to determine compliance with photosensitive seizure safety guidelines, leaving me unable to test the safety of a given game sequence. Game trailers for the PlayStation Vita often include a view of the controls. Gameplay takes up a smaller region of the screen, invalidating calculations used by the seizure safety analyzer. Here’s why. Advice from experts on reducing the likelihood of visually induced seizures usually begins with not getting too close to the screen. That’s because the same flash that fills a smaller segment of your field of vision may be safe for viewing, whereas closer up it could have a greater impact on the brain. Because the game screen in these trailers takes up less than the full screen, the analyzer is “fooled” into assuming there is less significance to each bright flash. To determine the level of visual stimulation produced by various types of seizure-provoking visual sequences on video, researchers created algorithms that take into account the percentage of the screen that is involved for each visual effect. So a bright flash that occupies the full screen is “scored” differently for safety than the same flash that takes up only 75 percent of it. The impact on the brain is lessened when the stimulus occupies a smaller area. For the same reason, experts recommend keeping a distance from TV and game screens, to lessen the portion of the visual field that is affected. Am I missing something? If Sony or anyone else would like to set me straight on this, I’m listening.